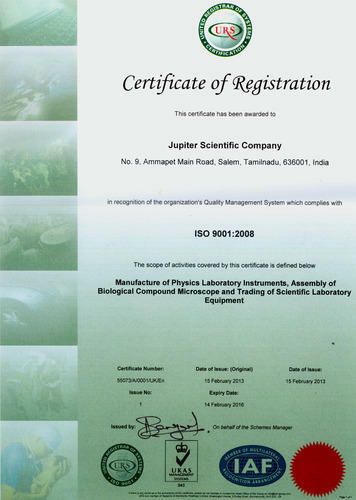 We Jupiter Scientific Company are an ISO 9001:2008 certified incepted in the year 1971, Jupiter Scientific Company was established with an objective to be recognized as one of India's leading manufacturers, suppliers and exporters of Scientific Equipment for Chemical, Biochemical, Medical, Physics, Chemistry, Surgical, Lab Equipment & Hospital Equipment. We began as a moderately sized business in the marketing and supplying of various equipments such as laboratory microscopes, medical microscopes, furnaces, etc, has today grown to become the finest source of diverse industrial and commercial establishments in India and around the world. We provide many scientific and laboratory equipments such as autoclave, laboratory microscopes, medical microscopes, etc, to support instruction and research capabilities in schools and colleges. These sophisticated and easy-to-use scientific equipments enable the novice as well as the expert, to conduct researches and instructions in various streams of education and provides insight into the highest level of creative research and education. With our products we have successfully fulfilled the needs of educational, medical, engineering & research and manufacturing fields. With phenomenal growth and worldwide success, we have established a global presence. 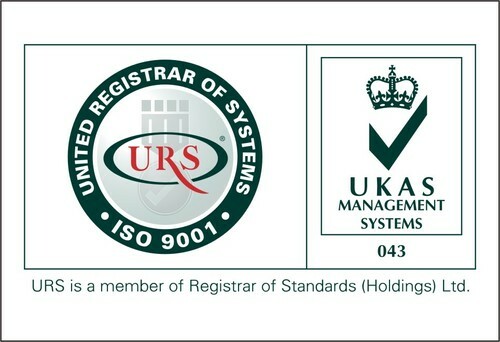 Owing to our sound quality management policies we have applied for ISO as well as CE certifications. We follow well-defined guidelines for quality control. Right from procurement of raw material to dispatching, each stage of production is carefully monitored by our skilled & quality control supervisors to ensure quality standards. Further, each of our instruments are tested for their accuracy, performance and durability. Modern design and analysis equipments, aid the efforts of our engineers thereby ensuring high-quality and consistency. The feedback of our customers is continuously collected, evaluated and feasible improvements are introduced as quickly as possible for enhancing the quality of our products. We are equipped with the latest and most high-tech equipments and machines for manufacturing scientific tools and devices. Our production unit is spread in an area of 2.5 acres with 10000 sq. ft., of building area. Various machines like powder coating, lathe, CNC, sheet bending are installed in our unit along with optical testing machine and German imported lenso meter. All our scientific equipment are designed and developed according to the technical specifications provided by the client. We have manufacturing units in Salem. We have various departments like admin, production and sales in order to assist in the production process and meet the desired turnover with ease. Our production facility is completely geared up and streamlined to fulfill our clients requirement. Under the guidance of our mentor Prof. PS.Viswanathan who is basically a Master Graduate and is working as a professor in various reputed colleges, we have successfully designed and developed equipment that are precise as well as premium in quality. His 35 years of experience in this field has fetched us a lot in terms of industrial knowledge and production process. Our mentor has always been of immense support as and when required and have also trained us from time to time. We have designed and developed various scientific equipment such as laboratory microscopes, medical microscopes, laminar air flow systems, autoclave, etc, which are produced in accordance with the client's specification and drawings. All our products are completely reliable and have been produced after intensive market research and analysis. Our products are made using raw materials like stainless steel and CRC sheets and pig iron molds. Our range includes Industrial Quality Control Lab Equipments, Microscope, Institutional Lab Equipments, General Lab Equipments, Vacuum Oven and Sterilizing Equipments. Utilizing new techniques and in depth market analysis, we have expanded our product range to keep up with the demands of the global market. Our competitive strength is derived from a collaborative design of cost effective products delivered within the stipulated time. We have a team of technocrats, engineers, scientific experts and allied workforce, who utilize their expertise to meet the variegate demands of the clients. Our pool of engineers have immense industry experience and knowledge. They constantly innovate and upgrade the range to manufacture products according to the set standards so that they can meet the international parameters. Our team also provides training to the new entrants so that they are familiarized with the latest technological innovations and the effective use of machines in order to enhance the production capacity and minimize the wastage levels. Growing ourselves over the years, our main motto is to offer complete satisfaction to our patrons. We have earned the loyalty of the customers, perpetuating our association with them. Our commitment and hard work are well recognized by our clients and hence, they always rely on us for technology and marketing solutions. We can easily meet the demands of various overseas clients belonging to Sri Lanka and various African countries.